at the entrance to Sainsbury's car park. If you arrive late, please ring the doorbell once. 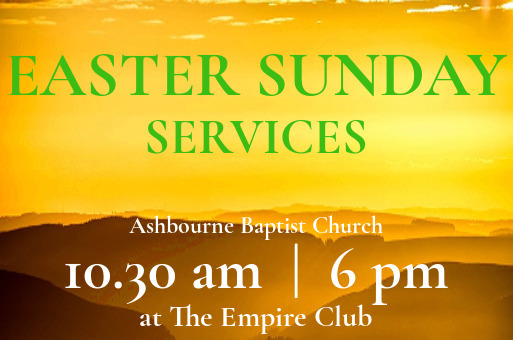 There are children's and youth activities (by age group) during the service, and crèche facilities are available. 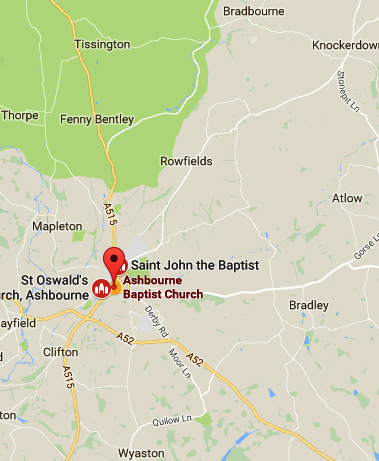 Thank you for visiting our Ashbourne Baptist Church website. We're glad you're here! Come and join us at one of our services - you'll be made very welcome. 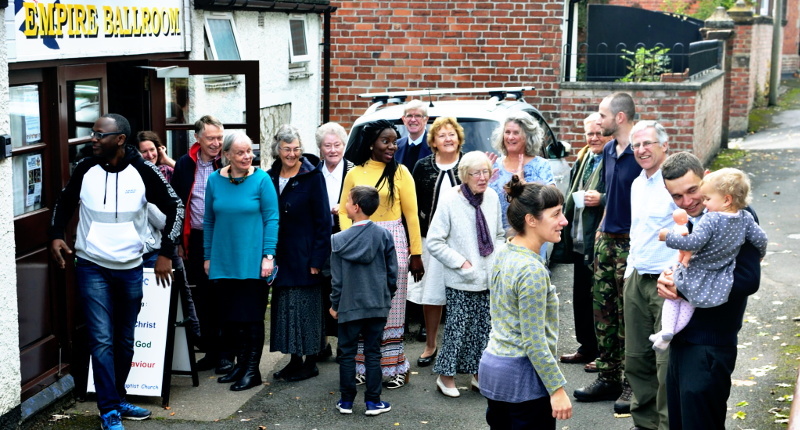 Ashbourne Baptist Church is Bible believing Church made up of people from all walks of life and from different backgrounds who meet to worship God together. We believe that Jesus Christ, as our representative and substitute, shed his blood on the cross as the perfect, all-sufficient sacrifice for our sins. His death and resurrection constitute the only ground for salvation. And whose hope is the Lord." 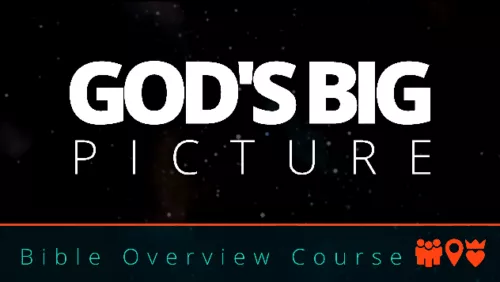 Our weekday Childrens' activities and the "God's Big Picture" course have stopped for Easter but will retart with the new school term. You can listen to more sermons, or search for a sermon, on the sermons page. Several people requested this sermon, but it got lost. Better late than never, I hope. 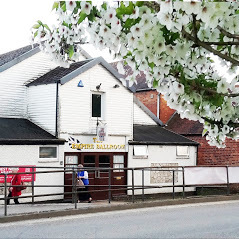 The monthly Ladies Meeting dates are irregular, so please contact us for details. Most activities are at The Empire Club. However, please contact us to check venues and other details.